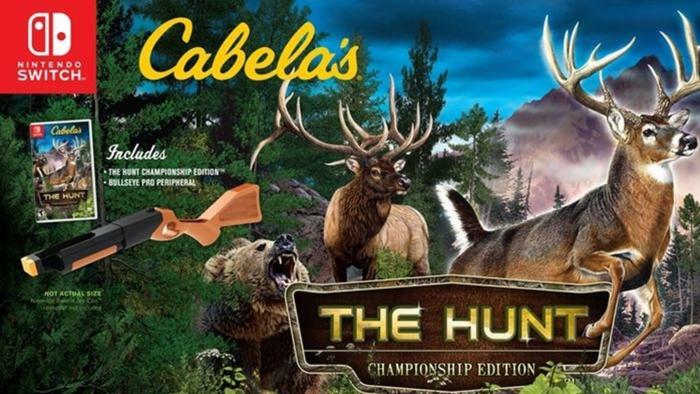 Planet Entertainment has announced it’s bringing Cabela’s: The Hunt Championship Edition, an animal hunting game, to Nintendo Switch. As you know, in order to hunt in real life you’ll need a rifle. So in Cabela’s: The Hunt Championship Edition, a Joy-Con Rifle is packaged with the game to further increase your gameplay experience. The publishers of Cabela’s: The Hunt Championship Edition are also releasing a fishing game for Nintendo Switch that comes with a Joy-Con fishing rod. Cabela’s: The Hunt Championship Edition launches October 16 in North America and is now up for pre-order at Amazon.